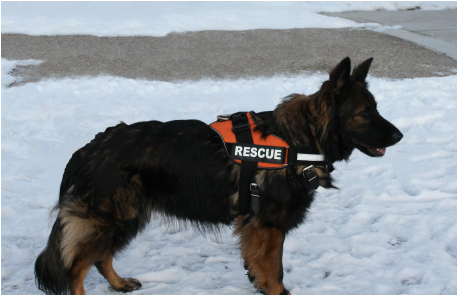 Anyone from the general public in need of a search dog, please report the incident to local authorities and ask them to request us. Expense reimbursement from requesting agencies is always appreciated but not required. 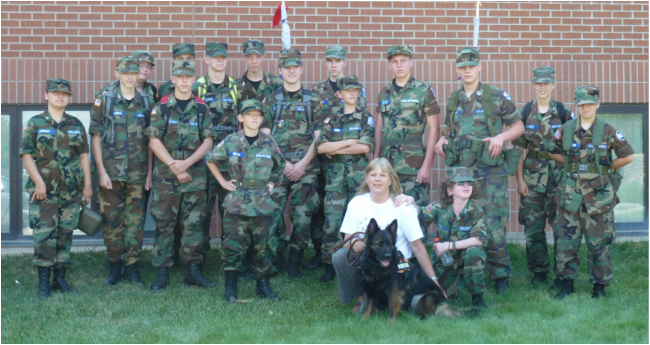 Civil Air Patrol search dog demonstration. 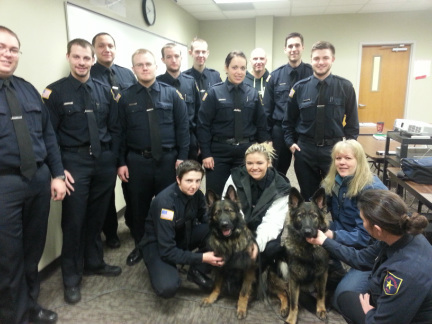 Auri and Shodo at our presentation on scent and search dogs to LE students. 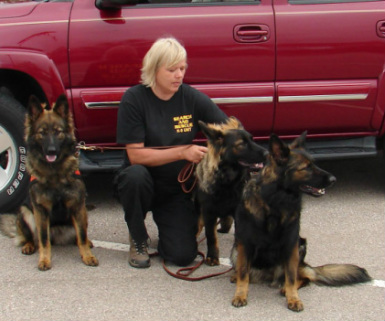 Kim with Shodo, Pike (6 months old) and Auri ready for a demonstration.